We believe life is a journey made up of moments. Our goal is to capture those moments in real time... genuine emotion, honest interaction, the beauty in the every day and in the grand. We love gorgeous settings and interesting backdrops but our focus is always on people -- on you and your family. The Life on Film team loves to have fun with playful, active shoots. We work to create a space that is relaxed, comfortable and interesting for you--not stressful. Then the genuine moments naturally emerge, making for candid shots that convey unique, real relationships and natural beauty. Our background in photojournalism makes us a bit different in our view of the world and our approach to pictures. What we think you'll appreciate is our documentary, candid style that lets us capture all that's happening without interrupting. Our photographs tell your story as it unfolds, rather than directing it. Jenni Girtman has a passion for moment-based photography backed by more than a decade of professional photojournalism experience. 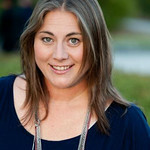 She brings a contagious energy to documenting weddings, bar and bat mitzvahs, corporate events and family portraits. She can also be found traveling all of Atlanta and the Southeast on assignment for AJC's Living Intown lifestyle magazine. One of our greatest joys is seeing how clients react when they first see their images. They laugh, they cry, they say "awww"... and then we get to see how meaningful the moments we captured truly are. We love when we're there to share in future moments, too. It may be a former mitzvah teen who's graduating or a wedding couple who are having a baby. Or maybe it's a family that returns each year for portraits capturing how they've grown and changed. We're so incredibly grateful to be part of each client's journey. We'd love to capture your most meaningful moments. Please contact us about your photography needs!